Thank you for your membership support. We offer a clean and honest exchange, providing a service you trust and depend on -- and we've been reader-sponsored since 2002. No corporate sponsorship. No interruption advertising. A clear space to think, feel and grow. Thank you for signing up, or reactivating your subscription today. You'll get the full advantage of what we offer, and do your part to keep Planet Waves online, healthy and fulfilling our mission at this crucial time. This is the astrology self-study kit. 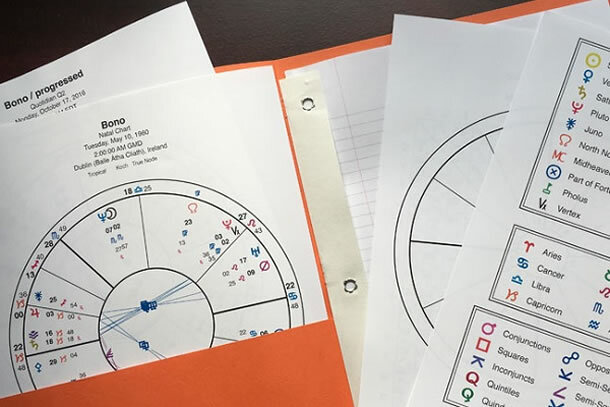 It includes your natal, progressed and most recent solar return charts, as well as blank wheels, a glyph key, blank writing pages and other handy tools. It's custom-cast to your birth data. 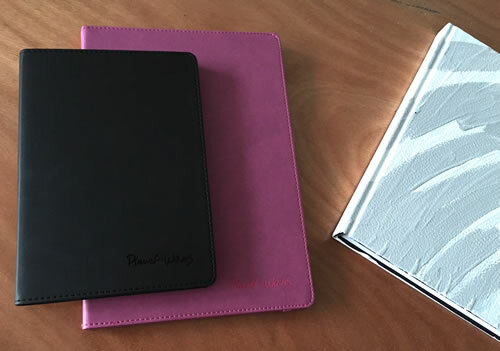 These are Planet Waves journals, which are available in black (smaller) or pink (larger). These come with a Core Community membership or Backstage Pass membership.